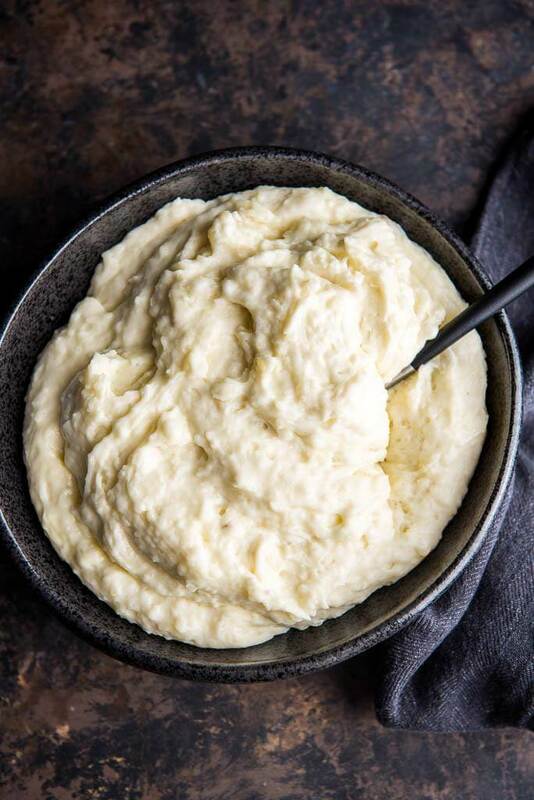 Pressure Cooker Instant Pot Mashed Potatoes are a quick and delicious way to have real homemade mashed potatoes in no time! Perfect for family dinners! 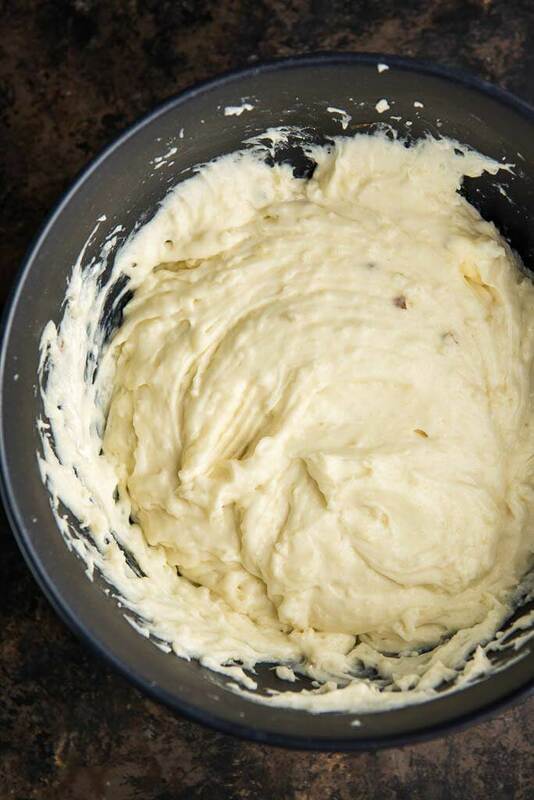 Ever get a craving for mashed potatoes that you just can’t kick? Those boxed flakes are quick but they are just not the real thing. 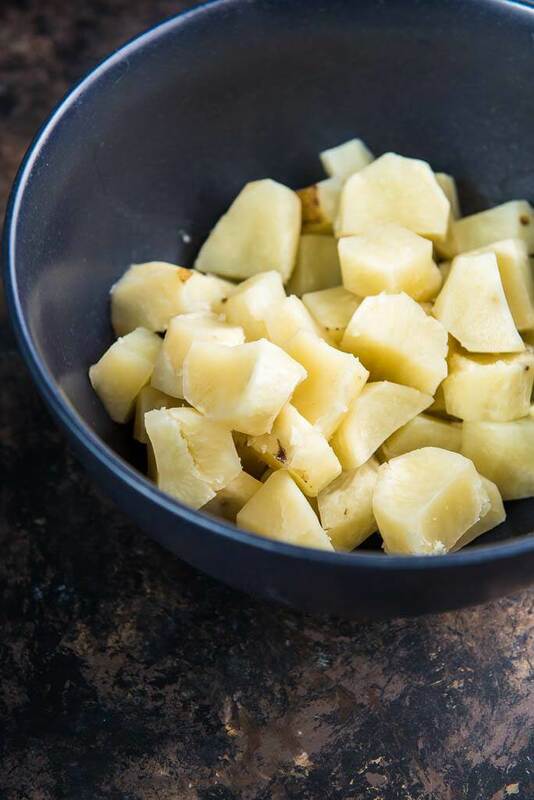 So, what to do when dinner is almost ready but you really need those potatoes? Make them in your electric pressure cooker, of course! 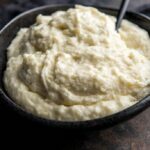 These Pressure Cooker Instant Pot Mashed Potatoes use my basic recipe for deliciously creamy and rich mashed potatoes but can be done quickly and without dealing with a boiling pot of water. 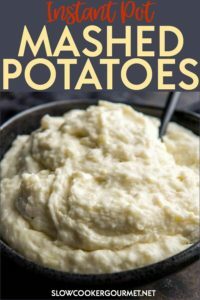 I’ve got to be honest, this is not my absolute favorite way to make mashed potatoes, I actually prefer the slow cooker version. But let’s face it. We don’t always plan ahead, or we make changes last minute, and sometimes you just need to be able to make something, pronto. And in this case, your pressure cooker or Instant Pot can really help you out! You’ll need to use the trivet that comes with your pot or you can get one like this. 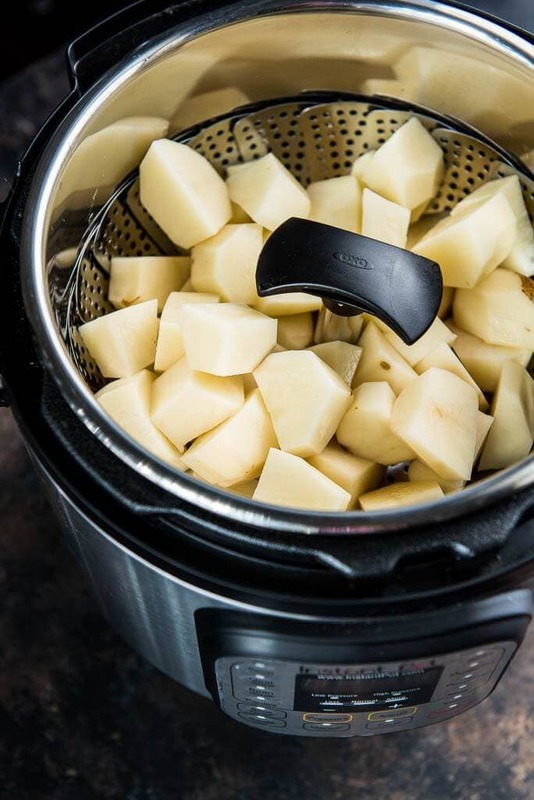 Either way, you are basically steaming those potatoes in the pot and then you can just remove them from the trivet and get to mashing! Now, the way I make my mashed potatoes is not what I’d call the light version. I mean, if you going to have mashed potatoes, then let’s just have the real thing, right? Life is all about balance and I’m all about the occasional splurge. 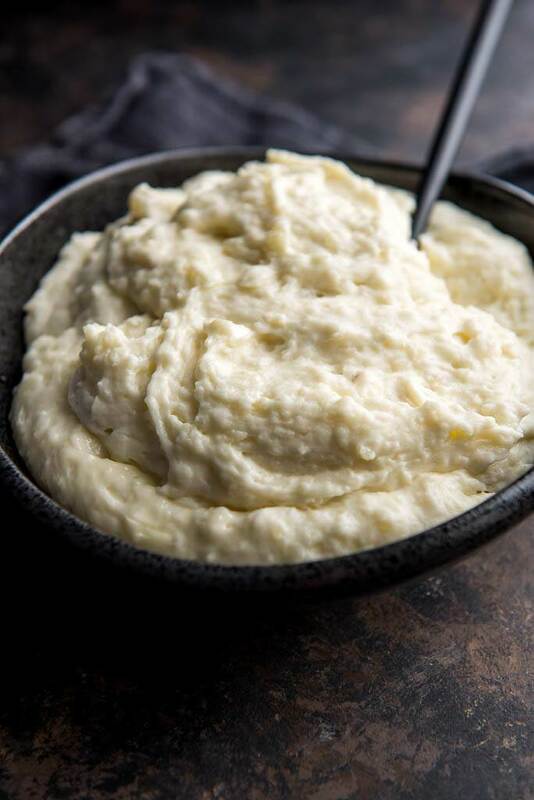 So, let’s add that cream and butter and make the easiest most delicious mashed potatoes you’ve had on a weeknight whim!